Former Aviation Minister, Femi Fani-Kayode, has asked Nigerian youths to learn how to be courageous from Sudan youths, who staged a protest that culminated in the ousting of the country’s President, Omar Al-Bashir. He said if Nigerian youths had the courage, strength and conviction of Alaa Salah, a 22-year old lady who supposedly led the Sudan revolution, that President Muhammadu Buhari would have long been removed from power. 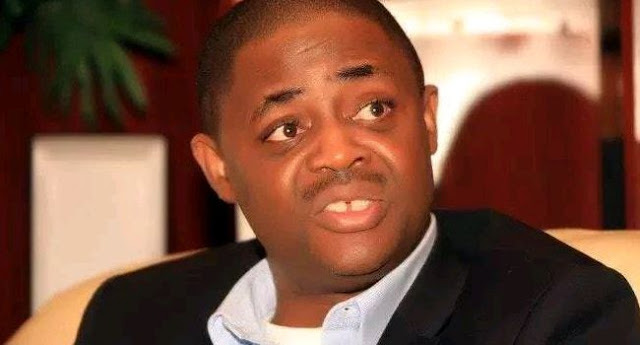 Noting that he and others who had “fought” hard against Buhari over the last four years had suffered all manner of hardship and persecution, Fani-Kayode said it was time for other Nigerians to do their bit in opposition against Buhari. He stated this in series of tweets on his Twitter handle in response to the revolution against Al-Bashir, the Sudanese President, who was ousted and arrested by the country military after ruling the country for 30 years. “Her name is Alaa Salah. She led a revolution in Sudan. She called for the oppressive leader of Sudan to step down. She is only 22 years old. “Some of us have paid our dues and have fought hard against Buhari over the last four years. We have suffered all manner of hardship and persecution for it. It is time for others to do their bit,” Fani-Kayode wrote.